2/26 Baird Creek Preservation Foundation Banquet Keynote, 7 p.m.
4/4 Old-growth talk at Northwoods Land Trust, Eagle River, 7 p.m.
6/22 Crawling Stone Lake Association Talk, 11:30 a.m.
Moose Lake, situated within the Moose Lake State Natural Area (4,293 acres! ), is a large, 270-acre undeveloped lake in a wilderness setting harboring a great diversity of aquatic plants. Most of the shoreline is covered by a dense thicket of alder and sweet gale, but the upland forest surrounding the lake harbors pockets of old-growth hemlock, giving this site a magnificent virgin appearance. Breeding birds include bald eagle, common loon, hooded merganser, and blue-winged teal. 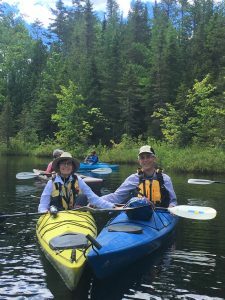 We’ll also paddle into 13-acre Little Moose Lake via Moose Creek.From the intersection of U.S. Highway 51 and County Highway J in Mercer, go north on 51 6.6 miles, then west on Moose Lake Road 2.8 miles, then north on Kaiser Road 0.4 miles, then west on Moose Lake Access Road to a boat ramp. Boat upstream 0.2 miles to the lake.Meet at NLDC at 8:30 or at the Moose Lake landing at 9 a.m.
8/4 Talk at Unitarian Church, Minocqua, 9:30 a.m.
Island Lake Hemlocks State Natural Area features one of the oldest old-growth hemlock-hardwood stands in northern Wisconsin. Although small, the 10-acre upland island of undisturbed, old-growth hemlock and yellow birch contains some trees exceeding 30 inches in diameter. The "island" stand lies within the 120-acre SNA and is situated within an extensive conifer-shrub swamp.The site and general area is critical habitat for the American marten, a state-endangered species that prefers older aged mixed hardwoods and hemlock/pine. This site, with its 250-plus-year-old hemlock, provides some of the best habitat in the area.Zach Wilson has conducted extensive marten research within this area and will share his knowledge of this rare animal.Wednesday, August 21, 2019, 9 a.m - 12 p.m.
Meet at the Center at 8:30 or meet at the site at 9. From the intersection of County J and Highway 51 in Mercer, go north on 51 8.5 miles, then follow Island Lake Road west and north 11.4 miles to a small wooden sign and the trailhead. 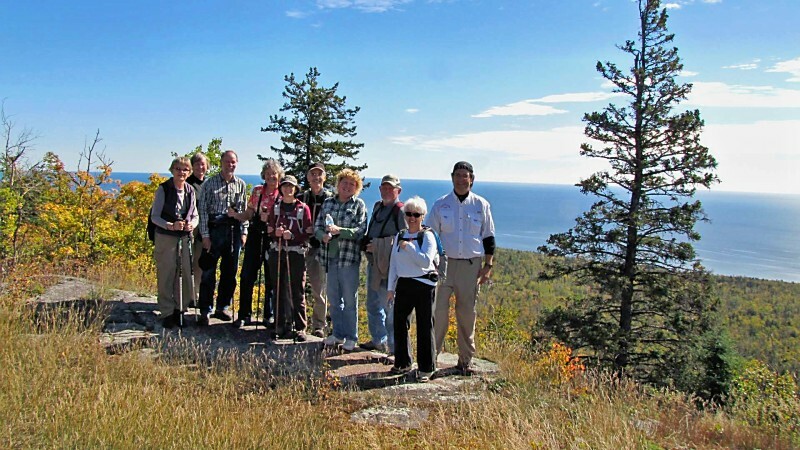 8/29 Master Naturalist Talk for NLDC, 1 – 5 p.m.
10/7 Poetry reading, Rhinelander Library, 7 p..m.
Identification and Ecology of Northern Trees and Shrubs 9/23-25, Fri – Sun. So Many Birds and So Little Time Class – May 24-26, Fri - Sun.